Over 100 firms and organisations from around the world have come together to form the blockchain association. The association, which includes names like IBM, SWIFT, and Ripple, will promote the adoption of distributed ledger technology across the European Union. This large scale collaboration has been made possible due to the initiative taken by the European Commission. The association, named the International Association of Trusted Blockchain Applications (INATBA), was launched earlier this week on Wednesday. The launch event took place in Brussels, Belgium. The INATBA will act as a global multi-stakeholder forum, which will make efforts to bring developers and users of blockchain technology together on one platform, and promote mainstream adoption. Blockchain technology was first revealed in 2009, as an underlying platform for Bitcoin. However, in the course of a decade, the innovative tech has gone on to become one of the most successful technologies created in the 21st Century. The tech now has several sectors under its wings, right from healthcare and agriculture, to banking and finance. However, even after ten years, blockchain still lacks mainstream adoption. Also, as per a recent report by San Francisco based Okta, blockchain also lacks investments, as compared to other modern technologies like AI and IoT. Formation of such mammoth associations will help space overcome its shortcomings. Moreover, the inputs from tech-driven companies like IBM will also facilitate innovation and development of the decade-old technology. The association aims to build a formidable framework, to encourage collaborations between the public and private sectors. It also plans to facilitate dialogue with regulators and policymakers, and ensure integrity and transparency in blockchain structures. INATBA will also lay down guidelines and specifications for blockchain-based applications and platforms. Other big names which are part of the association, apart from IBM, include Barclays Bank, BBVA, Accenture and beauty products giant, L’ORÉAL. Several blockchain based start-ups are also the members of the association, including ConsenSys AG, blockchain tech firm Bitfury, enterprise blockchain firm R3. Prior to this, the European Commission has heavily funded a project called LEDGER, which is basically a blockchain targeted to develop data sovereignty across the EU. The Project was recently joined by IOTA, another DLT based, platform focused on integrating blockchain with machine learning and Internet of Things. 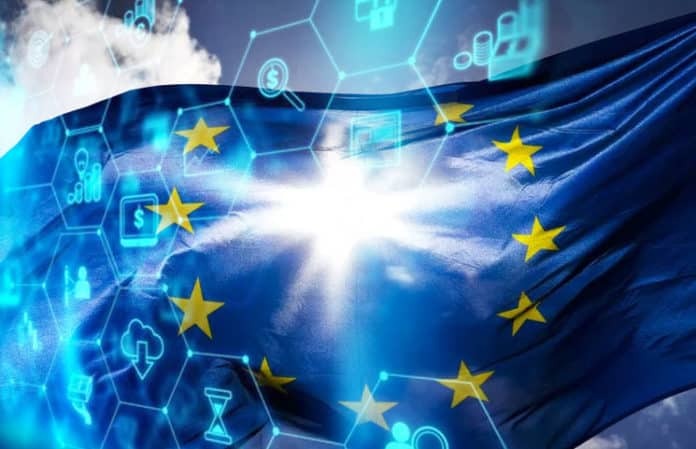 The European Commission has introduced several initiatives to promote the mass adoption of the blockchain. Last year, the EC established the European Blockchain Partnership (EBP), joined by 22 member nations. EBP was formed to enhance cross-border delivery of blockchain based digital services for public sector utility. In February 2018, the European Commission also formulated the EU Blockchain Observatory and Forum (EUBOF), in collaboration with ConsenSys. Governments across the globe are taking various measures to develop and implement blockchain technology in their respective countries. For instance, China approved 197 applications by blockchain companies, which now enables these firms to commence blockchain related activities in the country. The American technology behemoth, IBM has entered in collaboration with governments of countries like Australia, Canada and a few African nations, to develop blockchain based solutions for government departments. In fact, IBM is developing a blockchain based platform to eliminate the evil of counterfeit drugs in African nations. Similar efforts are being taken by governments and blockchain companies worldwide.